Amazon is the land of plenty. 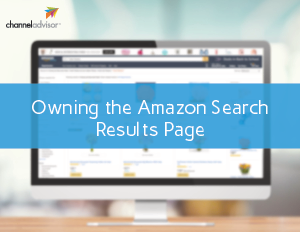 It’s easy to see why more consumers start their online product searches on Amazon than Google. But with so many moving pieces to the Amazon puzzle, it’s important to step back and see where your listings stand from your consumer’s point of view. How does the results page break down? Do your products stand out? Or are they easy to miss? Most important, do your products even show up?